Home owners refinancing their home loans are the big news in the housing market now. Mortgage rates fell to below 4% in the last quarter, making it a great opportunity for those with home loans to cash in and save big. Home owners are taking the great rates and saving thousands of dollars each year on interest. The interest rates aren’t the only reason for the action in the home loan industry though. A very generous atmosphere in loan underwriting is fueling the market for refinances to a fever pitch that hasn’t been seen in more than a decade. Freddie Mac, one of the nation’s leading mortgage insurance companies reports a projection for home owners to save an accumulated $5 billion in lower interest payments in the very first year of their loans. Most home owners who refinance now will save at least 30% every month on payments. According to the Primary Mortgage Market Survey (PMMS) issued by Freddie Mac, the national average for interest on 30 year fixed-rate mortgages remains in the 3% range as it has been for over four months. Interest rates dropped into the high 3s in late 2014 and have been slowly continuing down for most of the 18 weeks since. The low rates have spurred a surge in refinances of home mortgages. In the last quarter of 2014 there were roughly 432,000 refinances of all conventional mortgage loans. That is an increase of 11% from the previous quarter that had also had a double digit increase. Of the 432,000 refinances just 9% were provided by HARP, the FHA’s Home Affordable Refinance Program to help home owners obtain more affordable payments on mortgages. The HARP program began six years ago. The number of refinances in the last quarter of 2014 was the smallest number of HARP loans since its beginning. That decrease in HARP loans is significant in highlighting the improving market conditions where home owners that were once underwater and could not get refinanced are now ‘in the money’ with their homes. Home loan rates are 75 basis points lower than they were at the beginning of 2014. That 0.74% difference has allowed home owners to obtain loans and get huge savings through refinancing without HARP loan assistance. The industry has relaxed its application standards overall, and lower interest rates has shifted the entire market. Ellie Mae, the industry’s major software provider reports 40% of all loans closing and refinance loans accounting for 60% of those loans. These loans are not only making it to closing, but they are closing faster than they have since Ellie Mae began to track mortgage data in 2011. The typical mortgage refinance loan closed in 36 days in the month of February. Fast closing, high acceptance and closing statistics and super low interest rates makes this the perfect time to refinance and save money. Conventional mortgages have hit record levels with the great advantages for home owners. However, they are not the only type of refinance loan popular with home owners. Streamline loans from the FHA and VA are very popular with home owners who already had loans through those programs. Streamline loans have great advantages and typically close even faster than a conventional mortgage. With a Streamline loan most of the information from the original mortgage is used to apply for the new mortgage terms. No income or credit checks are required and there are typically no appraisals needed to close. 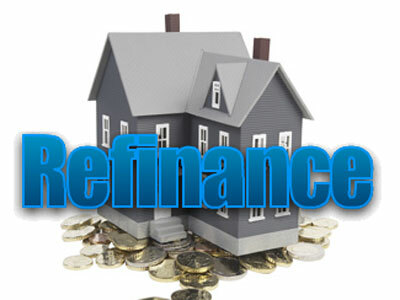 The reason most home owners state for refinancing is to take advantage of the savings a lower interest rate affords. This is known in the mortgage industry as a “rate and term” refinance. This type of loan provides either lower monthly payments or a shorter loan length. Freddie Mac explains that a rate and term refinance can reduce payments by a third when interest rates are 2% lower. Most refinances that occurred between 2012 and 2014 showed smaller savings levels, but even a small savings will add up over the course of a 15 or 30 year payment term. Now, however, with current interest rates 70 basis points, the equivalent of 0.70%, produce a very high savings on most refinances. Savings do not have to come from a reduced monthly payment to be valuable. Many home owners see the benefits of having fewer months to pay on a mortgage and choose to reduce the length of their loan. 15-year mortgages typically have even lower interest rates with common industry standards reporting interest in the 2% range. Both shortening the loan length and reducing the interest even further than a 30-year loan can result in a 65% savings over the total life of the mortgage. FHA loans underwent a big change that reduced the payments on MIP (mortgage insurance premiums) on new loans. Home owners with existing FHA loans that still have MIP payments that remain intact through the entire life of the loan are in a good position to save a lot if they refinance to current terms. A lower interest rate, fewer MIP payments combine to create large savings over the term of the loan. With home values on the rise again, interest rates going down and attractive loan application standards, this is a great time to use the equity a home has to get cash out. With a cash-out loan the payments may remain the same, but the home owner can get the extra money saved to finance personal needs, consolidate bills or even make improvements to the home.